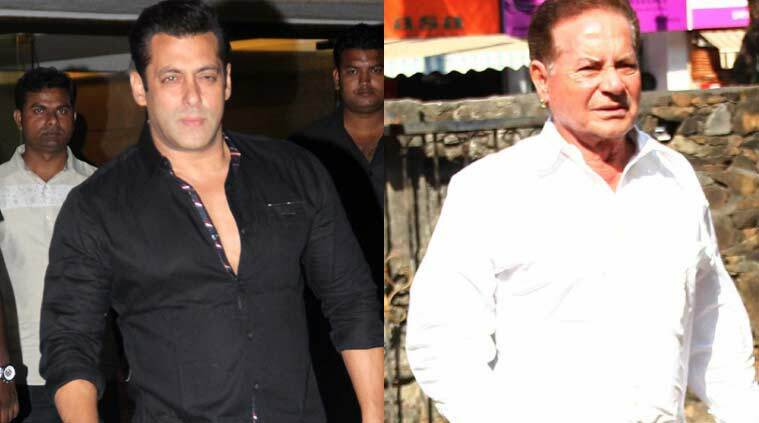 Salman Khan's father Salim Khan said his son was being targeted for his celebrity status which gives accusers more publicity. Days after Bollywood superstar Salman Khan got into a controversy by opposing the death penalty for 1993 Mumbai serial blasts convict Yakub Memon, his father, veteran writer Salim Khan, dismissing his son’s tweets as “childish and meaningless”, said he was being targeted for his celebrity status which gives accusers more publicity. Salim says his son was not the only person who had held such a position. “These things have been said by many people. Salman was not the only one. Probably his way of putting it was little childish and meaningless. First person to condemn it was me. Lots of people like Naseeruddin Shah, Shatrughan Sinha, (Justice) Markandey Katju have said the same thing,” Salim told news channel India Today. “You get more publicity when you attach Salman because he is a big star,” he added. Salman Khan, 49, who is out on bail after being sentenced to five years in jail in the 2002 hit-and-run case in May, tweeted on July 25 that Yakub Memon, who was hanged in Nagpur jail on Thursday, should not be punished for his brother Tiger Memon’s crime. The reaction to the tweets led authorities to deploy around 50 policemen outside his residence in Galaxy Apartment in Bandra in fear of possible violence and even set up barricades. However, Salman Khan, the very next day (July 26) apologised for what all he said. The “Bajrangi Bhaijaan” posted on Twitter that his father wanted him to retract his tweets “as they have the potential to create misunderstanding”. And he promptly deleted the earlier tweets. Yakub Memon was involved in the deadly 1993 blasts that left 257 people dead and over 700 injured in what was then the world’s worst urban terror attack. He is the brother of one of the main accused, Tiger, who along with others is absconding. Indian officials believe he and underworld don Dawood Ibrahim are in Pakistan.